HONOLULU – Rick Stone stands in a volcanic crater overlooking Pearl Harbor, in the military cemetery known as the Punchbowl. 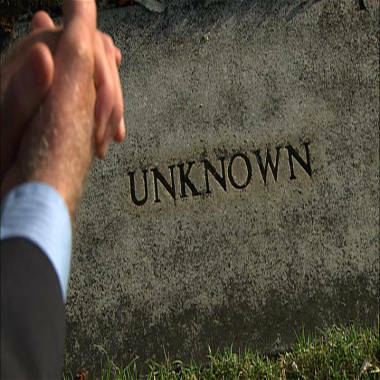 Looking around him, it's easy to spot the graves marked "Unknown." They're the ones where no relatives bring flowers. Former Pentagon investigator Rick Stone kneels quietly by a grave marker of a "known unknown," a serviceman from World War II in the military cemetery in Honolulu, one of more than 125 whom Stone says should be given back his name and returned to his family. Standing beside one marker, Stone says its occupant isn't unknown to him. He is "100 percent" sure this is the grave of Earl Leroy Morrison, who was killed on the USS Arizona in Pearl Harbor. More than 2,000 U.S. unknown soldiers from World War II are buried in this cemetery alone, among the more than 8,500 unknowns from World War II interred in U.S. military cemeteries worldwide. But a Pentagon agency has refused to conduct DNA tests to determine once and for all whose bones are in the graves of the unknowns, even when its own investigators say they have narrowed it down to only one possible match. The agency -- the Joint Prisoner of War/Missing in Action Command, known as JPAC -- is now under fire. Congressional hearings on its performance are scheduled Thursday in the wake of an internal report that called it "acutely dysfunctional" and a Government Accountability Office report that said the effort – the sacred mission to identify the 83,000 missing service men and women from all of America's wars since World War II -- has been undermined by squabbling between agencies. The chairman of the Joint Chiefs of Staff, Gen. Martin E. Dempsey, said the reports were "discouraging and moving rapidly toward disgraceful." No other country tackles such work with such a commitment, including a $100 million budget. JPAC’s motto: "Until They Are Home." But Stone, who joined the agency after retiring from a career in law enforcement, said the motto isn’t reflected in its actions. While JPAC research teams go around the globe, recovering skeletons and chips of bones from Belgium to Papua New Guinea, disinterment requests for the remains of former U.S. soldiers from its own investigators are routinely ignored, he said. "You become attached to them," he said, referring to the young men in the files. "I'm committed to trying to bring some kids home. Simple as that." The search for 'Seaman Elm'Stone arrived in Pearl Harbor in 2011. A career police officer -- commander on the Dallas force, police chief in Wichita, Kan., with degrees in history and criminal justice administration -- he was recruited by JPAC and became deputy chief of investigations for World War II. As he dug into the files, Stone was surprised to find that some identifications seemed well within reach. Earl Leroy Morrison, seaman first class, U.S. Navy, a 20-year-old from Montana, died Dec. 7, 1941, on the USS Arizona in Pearl Harbor. His body was buried as "unknown" in the military cemetery in Honolulu, where it remains today. Although he was identified by a cigarette case with the letters "ELM," investigators for seventy years were stumped by being unable to find a Seaman Elm, not realizing the letters were on the case were initials with periods. When an investigator discovered the mistake the Pentagon unit in charge of identifying MIAs refused to disinter the body for a DNA match with Morrison's relatives. The U.S. military had been looking for 70 years for a “Seaman Elm” who was killed at Pearl Harbor in the Japanese attack on Dec. 7, 1941. A seaman's body had been found onboard the USS Arizona, unidentified except for a cigarette case engraved with the letters "ELM." But no one could find a name on the personnel lists to match that body, which was designated case No. X-51. So he was buried in the Punchbowl, which is known formally as the National Memorial Cemetery of the Pacific. But Stone found a report in the file noting that the engraving on the cigarette case had periods: E.L.M. "I realized immediately," Stone said, "that we … should be looking for someone with the initials E.L.M. who had been onboard the Arizona." And there were only two servicemen with those initials killed on any ship in Pearl Harbor. One, from the USS Nevada, had been identified, and his body had been sent home to Ohio. 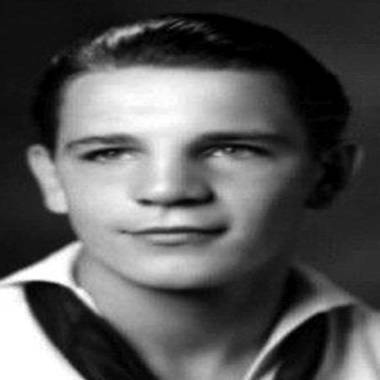 The other was Earl Leroy Morrison, seaman first class from Montana, who was assigned to the Arizona. On April 25, 2012, Stone sent a memo asking JPAC's Central Identification Lab -- touted as one of the largest in the world -- to disinter the body. The lab still hasn't acted on his request, and it wouldn't respond to his plea that JPAC seek out Morrison’s relatives to give DNA samples. "It's a Catch-22," Stone said. "You can't talk to the families until you're sure, but how do you become sure until you talk with the families and get the DNA?" The shortest second lieutenantStone was also assigned to look at the cases of Americans killed in November 1943 on the Pacific island of Tarawa. Seventy years later, 513 men presumed killed at Tarawa have not been identified, including 103 servicemen buried as unknowns in the Punchbowl, which looks down on the JPAC headquarters at Joint Base Pearl Harbor-Hickam. There has been family pressure on Congress for JPAC to speed up the Tarawa identifications, and in 2010 Congress directed that "all feasible efforts" be used to identify the Tarawa remains. JPAC has also been under pressure to increase the number of overall identifications it does each year. The same law set a goal for JPAC: 200 IDs per year by 2015, up from fewer than 80 in recent years. Stone began trying to narrow the number of likely candidates for DNA comparison. Using personnel records, he built a biometric database on the missing from Tarawa: race, age, height, weight, hair color. Using the measurements taken when bodies arrived at the Army lab in 1947, Stone first sorted the Tarawa dead by height. One body, X-168, was at the top of the list. This dead American with a crushed skull was estimated by anthropologists at the Army lab in Hawaii to be about 5 feet 1.4 inches tall, age 23 to 24, Caucasian, 115 pounds, with medium ash-brown hair. One more clue: His pants pocket held a military insignia, the bars worn by a second lieutenant. How many 5-foot-1 American servicemen lost on Tarawa could there have been? Even with a 2.5 inch margin of error, there were only two. The first was a Marine, 5 feet 3, but he was only 19 years old, and he was a private first class. 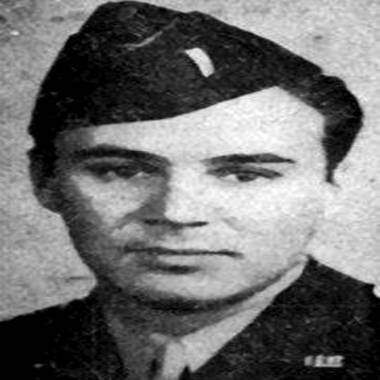 Stanley J. Alenier, second lieutenant, U.S. Army Air Corps, a 23-year-old from New York, was a navigator on a B-24 that crashed on the Pacific island of Tarawa in November 1943. Lt. Alenier was 5 foot 3 inches tall, according to his medical records. No body found on Tarawa was identified as his, until a Defense Department investigator looked at the height of bodies from Tarawa. A body found with second lieutenant bars in its pants pocket, and with height estimated at 5 foot 1.4 inches, had been found on Tarawa and has been buried as "unknown" in the military cemetery in Honolulu. The request to exhume the body for DNA comparison to Alenier's relatives was not acted upon. Then there was Second Lt. Stanley Alenier of New York, a navigator on a B-24, who stood 5 foot 3 and a half. He was Caucasian, 23, with medium brown hair. Stone said he couldn't be absolutely sure, but there was enough evidence to check the DNA. In all, Stone recommended disinterment of more than 125 bodies from World War II battlefields, more than half of them with fewer than 10 likely matches to "missing" servicemen. Not one of his requests has been approved. The JPAC lab objected first to the formatting of the requests by Stone and other JPAC historians, documents show. The lab rejected reports because commas were in the wrong place, or because they used footnotes instead of endnotes. The lab also objected to Stone's use of height and other biometric factors to narrow down the list of possible matches. In a meeting on Jan. 25, 2012, the lab director, Ph.D. anthropologist Thomas D. Holland, put his foot down: No more use of these techniques to solve cases. "In regard to the Tarawa disinterment memos," states an account of the meeting by Stone's boss, "Dr. Holland would not accept any of them because we are 'out of our lane' to be looking at biometrics." Stone finished his one-year contract, leaving JPAC in July 2012. He still works the cases of his Tarawa "kids," helping more than 70 families who have asked for information. Defense Department responseThe Department of Defense would not make available for interviews lab director Holland or JPAC's commander, Maj. Gen. Kelly K. McKeague, an engineer who rose through leadership of the National Guard and took command last fall; he is approaching the middle of the usual two-year rotation at JPAC. A Pentagon spokesman did not respond to questions specifically about Seaman Morrison or 2nd Lt. Alenier, or about Stone's requests for 125 disinterments, but said it has identified seven previously unknown servicemen from disinterred remains so far this year, and has approved every request made this year by its staff. Rick Stone looks at the grave of a soldier killed in the battle of Tarawa in World War II. 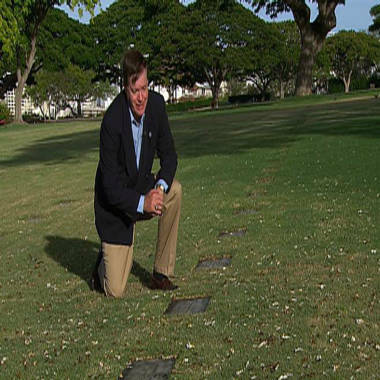 As an investigator for a Pentagon unit, Stone recommended disinterment of the remains from a military cemetery in Honolulu. His requests were denied, even when he was sure he knew the name of the serviceman. The Pentagon "is systematically reviewing the thousands of U.S. service members who are buried in U.S. cemeteries as unknowns," said the spokesman, Lt. Col. James Gregory. "In the last two years alone, thanks to improved research and analysis capabilities and breakthrough work by scientists at AFDIL and JPAC, DOD identified 24 Korean War servicemen who were previously unaccounted for and buried as Unknowns at the National Memorial Cemetery of the Pacific." As for previous years, the GAO report said the Pentagon has been reluctant to exhume bodies, questioning the necessity because unknown soldiers already were buried with honor. JPAC officials told the GAO they plan to give more attention to disinterments, so long as those don't curtail field expeditions to recover remains. In its overall response to the GAO, the Pentagon said it concurs with the report's main findings and is working on the problem, even considering reorganizing the entire effort to identify America's war dead. Gregory said the Defense Department takes seriously allegations of misconduct, and has requested that the Pentagon's inspector general review the efforts to account for service men and women. In his time at JPAC, Stone said, the only answer he could get regarding the men lying in the Punchbowl was, "We're in no hurry to identify these individuals. They're not going anywhere." YOU CAN HELP: Do you have documents or information about JPAC and the effort to identify MIAs? Send to mailto:bill.dedman@nbcuni.com. More than 83,000 Americans who fought and died for their country in wars from World War II onward have yet to be brought home or identified, according to the Defense Department. Most of those -- 73,674 at last count -- are from World War II, with 7,918 from the Korean War, 126 from the Cold War, 1,647 from Vietnam and Southeast Asia, and 6 from conflicts in the Persian Gulf. In most of the 83,000 listed as MIA, no body has been found, particularly for losses at sea. The Pentagon has estimated that only about 35,000 of the 83,000 may ever be identified.